Location: East of Blea Beck, 150 metres north of the wall corner between Rather Standard Side and Grove Rigg. This is a small stone, but beautifully carved, dating from about 1791. 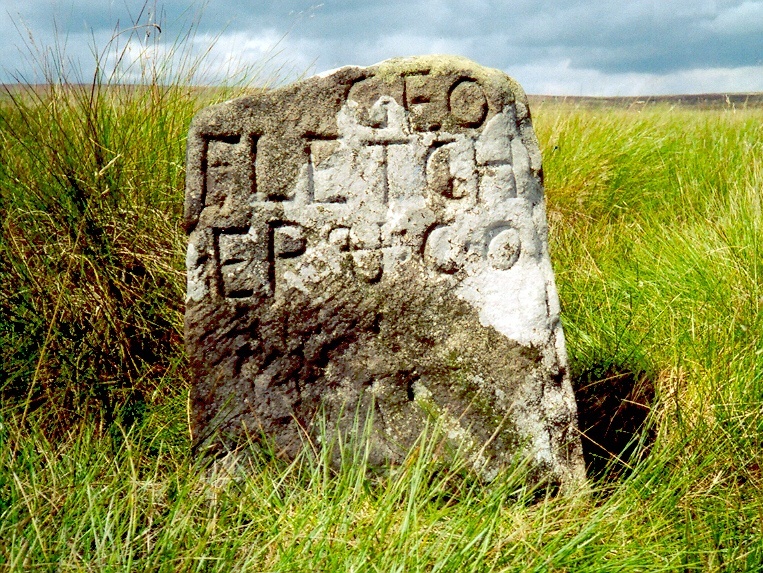 George Fletcher had previously been the Duke of Devonshire's local mining agent, and this is one of three of his stones found in this area. See Meer Stone 52 and Meer Stone 53. Meer Stone 41 and Meer Stone 64 are also George Fletcher stones, but on a different lease. A drawing of the stone may be found on page 13 in The Mines of Grassington Moor and also in Arthur Raistrick's paper The Founders' Meer in the NCMRS 1962-1963 Transactions (see references). .